I took my time getting out of town. I stopped at the Co-op for second breakfast, even though I hadn't done any riding since first breakfast, and ran into the Thursday moring retired guys breakfast. So I got to see Ed and Larry, which was really nice. So I had some oatmeal and talked with them for a while, and then got a few supplies and headed out. It was threatening rain as I found my way down to the bike path, then it actually started raining as I met another bike tourist headed the other direction. He had been following the Sierra-Cascade ACA route but got of course and ended up in Medford. Unfortunate, but now he was almost to Ashland and back on route. I had a bit of a struggle getting through Medford myself, but finally found my way out to the roads that parallel Hwy. 62 out to Shady Cove. It had stopped raining by now and was a pretty nice day. Rogue River road on the other side of the river from 62, is a particularly nice ride. 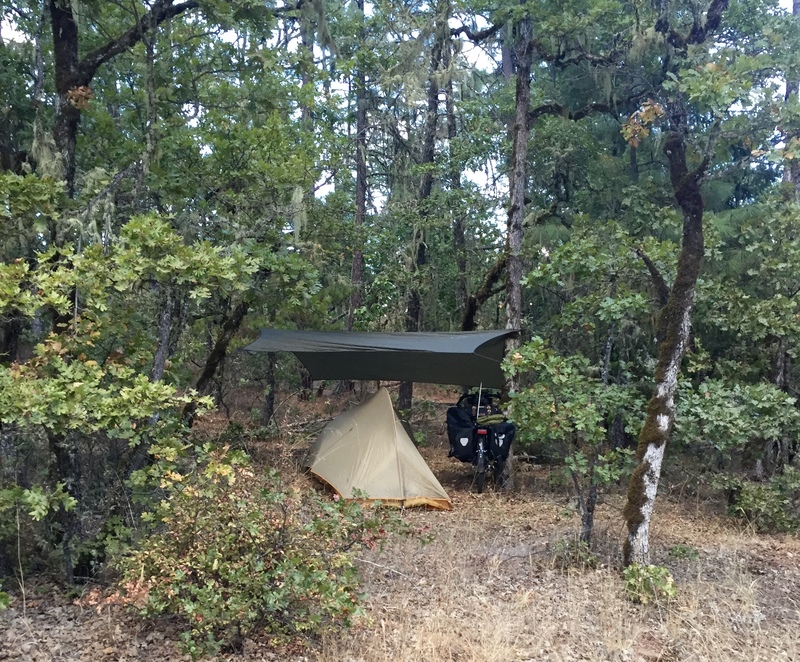 Once I got on the Trail/Tiller road my plan was to just ride until I got tired and look for a nice place to camp. The road followed a completely dry river bed. I guess it was Trail Creek. It looked like it would be a good sized creek in the spring. 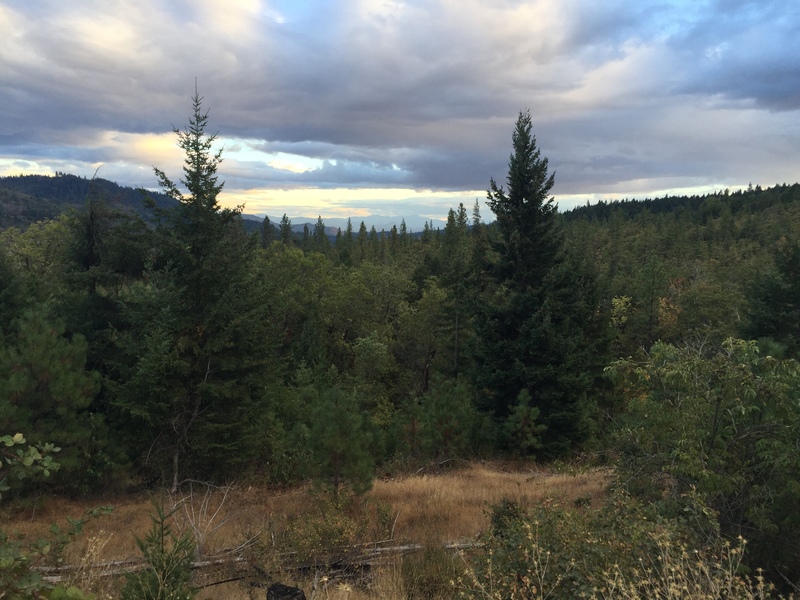 I kept going until I had been climbing a good ways and then found a gated, but not signed, logging road off to the west. I pushed and rode my bike up this road for about a half mile until I found a nice spot and made camp. I set up the rain fly but really didn't need it. It's a luxury I'm going to have to leave behind next time.